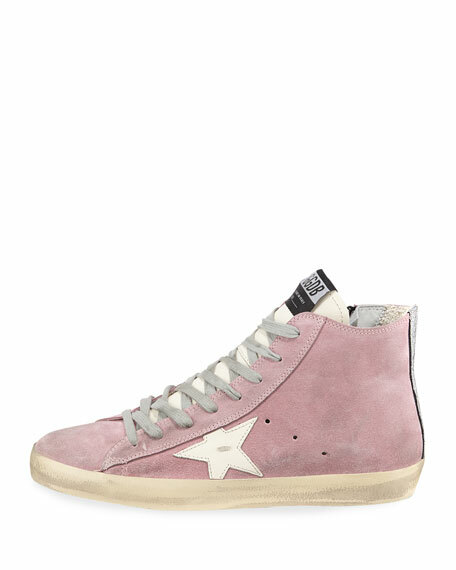 Golden Goose suede high-top sneaker with signature leather star at side. "Francy" is made in Italy. For in-store inquiries, use sku #2613511. 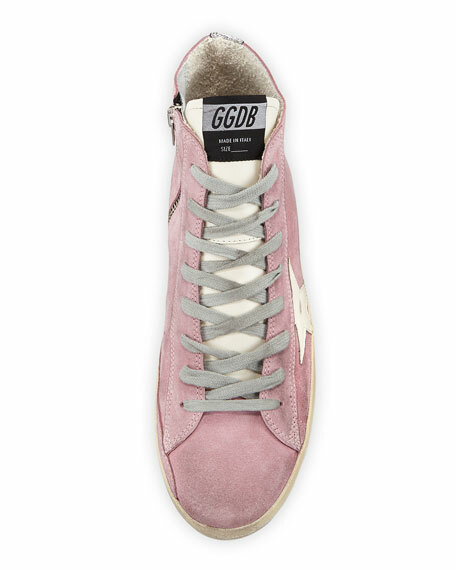 Golden Goose sneaker in leopard-print dyed calf hair (New Zealand/Australia) and fabric. Flat heel. Round toe. Lace up vamp. Metallic star print on side. Lining: cotton/cow leather/nylon/polyurethane. Rubber outsole. Made in Italy. 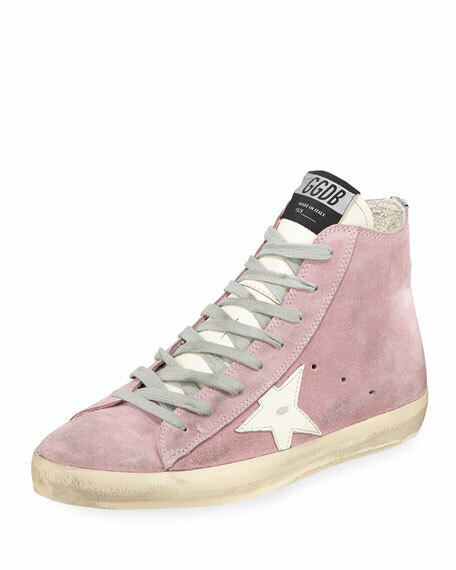 Golden Goose crackled metallic leather low-top sneaker with X-shaped studding. Signature star at side. Flat heel with platform. Round toe. 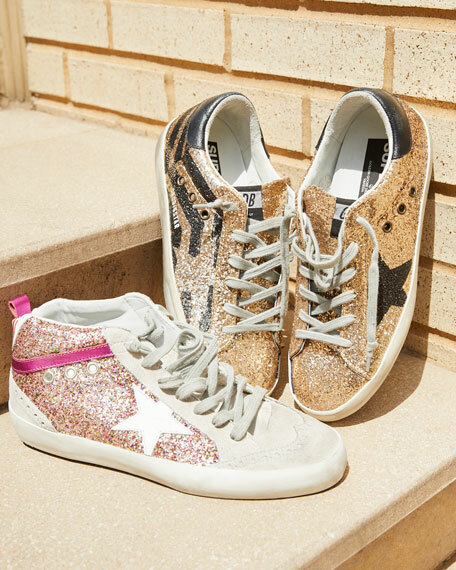 Golden Goose crackled metallic leather low-top sneaker with X-shaped studding. Signature star at side. Flat heel with platform. Round toe. Lace-up vamp. Glitter logo backstay. Padded footbed. Breathable leather/cotton lining. Signature stained rubber outsole. "Superstar" is handmade in Italy.